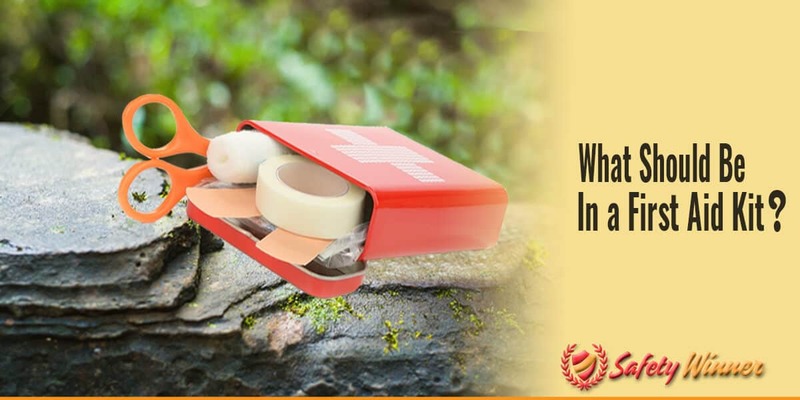 What Should Be in a Traveler, Backpacker & Hiker’s First Aid Kit? #1 What Should Be in a First Aid Kit? Whether you’re a traveler, backpacker, or hiker, it’s important to carry a first aid kit with you. After all, there are thousands of things you could potentially experience on your excursion. Unfortunately, some of these things include disasters and injuries. Like anything else in life, it’s better to be safe than sorry. That being said, here are a list of items you should carry in your first aid kit if you’re a traveler, backpacker, or hiker! Gloves. Let’s face it: you don’t want to touch anyone’s blood or other bodily fluids without sterile gloves, and no one wants you to touch their wound without gloves. Even if you’re treating yourself, it’s important to wear gloves because you lower the risk of giving yourself or the injury an infection. Alcohol wipes. Regardless of the type of injury, it’s important to clean and sterilize the area. Alcohol wipes are a quick, compact, and easy way to do so. Ointment. Although it’s not always necessary or recommended, ointment is often useful to help prevent an infection or further complications. Gauze. This is one of the best ways to apply pressure and secure a wound. If you only choose to carry one item on this list with you while you travel, backpack, or hike, then it should be band aids. Even though band aids are typically small and only used for minor wounds, they can be extremely helpful. In the event you or someone else experiences a large injury, you could resort to using multiple band aids to treat it if you didn’t have anything else. Ibuprofen. This is a standard pain medication that will reduce pain until you finish your excursion or seek medical attention. If you don’t like Ibuprofen, you could always swap it out for another anti-inflammatory, such as Aleve or Tylenol. Benadryl. This medication can be helpful for a variety of reasons. Since it’s primarily an allergy medicine, it’s great to have as an extra protection in case you come into contact with something you’re allergic to, or something that could potentially cause anaphylaxis, such as bee stings. In addition to acting as an allergy medicine, Benadryl could also help you sleep, and let’s face it: when you’re traveling, backpacking, or hiking, it’s important to get a good night’s sleep. Anti-Diarrheal. Getting diarrhea while you’re traveling, backpacking, or hiking is the worst. In fact, diarrhea could hinder or even halt your experience and plans. Don’t let this happen to you. Instead, simply carry some anti-diarrheal medicine. Aspirin. This is useful for chest pain or heart attacks, which are also things no one wants to experience while traveling, backpacking, or hiking. Like band aids, bandages and dressings are items that everyone who has a first aid kit should have. These items are standard and are used to apply pressure to, protect, and secure minor wounds and fractures. One of the great things about bandages and dressings is their portability. Most bandages and dressings come in tiny rolls. So, you can easily store them anywhere! Tape is important to have because you never know when you’re going to need it. You should have medical tape to secure bandages, dressings, and gauze. It’s also important to have non-medical tape, such as duct tape. Duct tape can be useful for a variety of reasons, such as securing something or covering a rough part in your shoes that causes blisters. While bandages and dressings might initially help a fracture, it won’t over time. Until you have the opportunity to seek help from a medical professional, a SAM Splint is the best way to secure and treat a fractured limb. If you’re unfamiliar with SAM Splint, it’s basically a foam-like bandage that adheres to your skin and provides comfort, pressure, and support. Athletes are known to use SAM Splint, and it can be found online, in superstores, or in sport stores. Since it comes in a lightweight tiny roll, it’s easy to store SAM Splint anywhere. While you will most likely never experience arterial bleeding during your travels, backpacking excursion, or hike, let alone ever in your life, it’s important to have a CAT Tourniquet just for safety. After all, arterial bleeding is extremely serious and even life threatening. A CAT Tourniquet is the most accessible and easiest tool that could potentially save your life while medical professionals are on their way. Weather conditions could change within the blink of any eye. That’s why it’s important to carry a blanket to keep you warm or protect you from certain weather conditions. Also, in the event that a serious injury occurs, the victim is most likely at risk of going into shock. One of the ways shock can be prevented is by ensuring the victim stays warm. That’s where a blanket comes in. You never know when you could run out of clean water while you’re traveling, backpacking, or hiking. That’s where a mini water filter comes in handy! With a mini water filter, you will be able to use water you find, such as river water, and filter it to become drinkable. While this isn’t completely sustainable for a long time, a mini water filter could potentially save your life until you stumble upon help or medical professionals arrive. Last, but certainly not least, is a fire kit. A fire kit is a phenomenal item to carry when you’re traveling, backpacking, or hiking because a fire is extremely useful in those situations, especially if you’re lost or injured. First and foremost, a fire creates light. So, you will be able to see what you’re doing, and people in the area will be able to identify your location. So, if you need help, people are more likely to find you. Secondly, fire creates heat, which could be extremely beneficial in colder temperatures or if someone is injured. Finally, fire enables you to heat up beverages and cook food, which will help you survive. How to Make Your Own First Aid Kit?